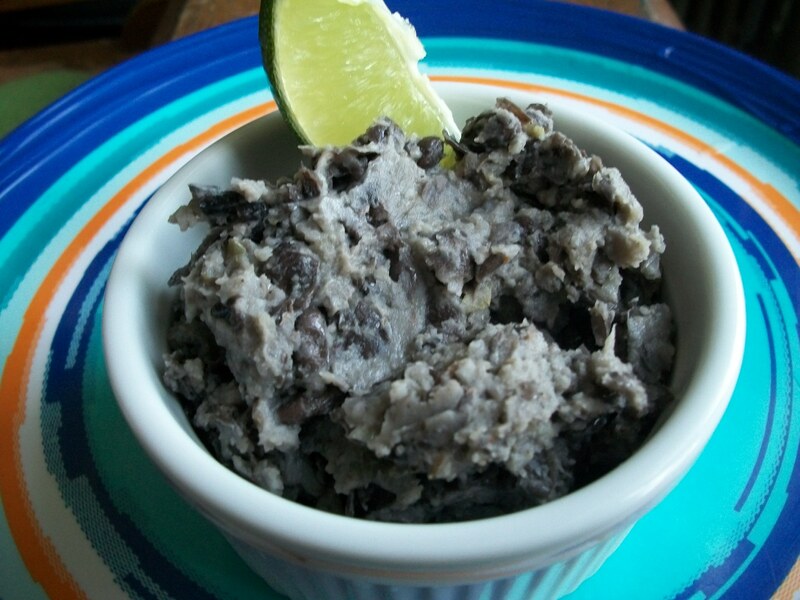 Refried beans are a simple dish made from mashed beans, most often black or red. The name is somewhat of a misnomer however as the beans are usually simmered (if dried), cooked in a pan, and then mashed. According to Snopes.com, the name comes from the Spanish words frijoles refritos which translates to “fried beans” but the “re” prefix is meant to indicate “well-fried” as in no liquid leftover, rather than refried. This easy preparation doesn’t take much time and is easily customized to your own tastes. It’s naturally vegan and gluten free. Please also check out my Indian Nachos recipe. In a deep pan, add in onions, jalapeno and garlic. Cook with a little oil for 5-7 minutes, until onion begins to wilt. Next add in cumin seeds and allow to sputter for a minute. Add in beans, cumin powder, chili powder, cayenne, salt, pepper and a few ounces of water. Mix in well. Cook together for 5 minutes. Remove from heat and transfer contents into bowl. Mash into coarse paste. Garnish with lime and cilantro. Serve with tortilla chips, or even pita bread. Pinto beans are also used a lot for refried beans. Thank you. I asked you for this and you provided. It’s like praying.